A lot of people don’t understand how much medical procedures actually cost until they have to pay them. This is why having health insurance is so important and why the Affordable Care Act was passed in order to provide everyone with health insurance. 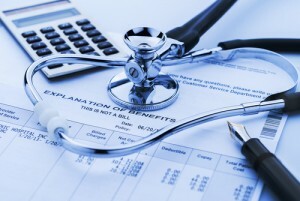 However, knowing the out-of-pocket costs of medical procedures is important too. Knowing this information can help people to determine what type of health insurance will best suit their needs. A new website, California Healthcare Compare, can help people figure out how much medical procedures will cost depending on where they live in the state. Some California residents might think that medical procedures will cost the same no matter where they live within the state. This, unfortunately, isn’t true. For example, the costs of having a baby in California can be drastically different depending on where someone lives—even if they have health insurance. For example, the out-of-pocket costs of having an uncomplicated birth in Orange County is an average of $1,800. In San Mateo County it’s around $920. The California Healthcare Compare website is incredibly helpful in that it provides information about five of the most common medical conditions and procedures. These include childbirth, colon cancer screenings, hip and knee replacement, back pain and diabetes. The only drawback at the moment is that the site focuses on comparing information about either the costs associated with these conditions or procedures, or the quality of care provided by the hospitals treating these conditions or offering these procedures, and not both. However, this information can still be incredibly helpful for people since it will help them determine how much they can expect to pay for medical care and procedures where they live, thereby allowing them to plan accordingly in choosing a health insurance policy that will fit their needs best. Before choosing a health insurance plan, check out the California Healthcare Compare website for helpful information about the costs and quality of medical procedures within the area you live. For more information about healthcare insurance, be sure to contact us at The Benefits Store today. Fire safety – October marks the first real change in the weather. The temperatures are beginning to get colder, which means that people are going to begin cranking up the heat as well as making use of their fireplaces. It’s important that fire safety becomes a priority through both the fall season and the following winter season. Everyone should make sure that they have smoke alarms installed on every level of their home. Replace the batteries and test every smoke alarm in the house to make sure it’s working properly. Record fall memories – Fall is easily one of the most beautiful times of the year. Begin photographing the trees as the colors begin changing color and dropping off. The addition of more foggy and misty days adds can add mystery and atmosphere to these photographs. Amateur and professional photographers alike should keep an eye out for reflections of these beautiful scenes in water, such as small ponds or lakes, in order to capture particularly striking images. Begin planting for next year – For anyone that wants a bit more color on their property, plan ahead for next October by planting trees and shrubs known for their colorful aesthetic now, such as Japanese maples, sassafras, baldcypress, euonymous bushes and more. Eat healthy to fight seasonal depression – The days are beginning to grow shorter and the weather does take a turn for the gloomy – especially when compared to the preceding summer season. Everyone should make sure that they eat foods that are rich in omega-3s, such as salmon and walnuts. 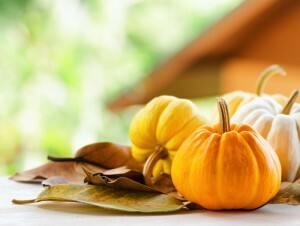 Foods rich in tryptophan, such as spinach and turkey, can help people avoid the seasonal depression as well. Keep this October checklist in mind this month and be sure to contact us at The Benefits Store for health insurance advice. Breast cancer is one of the most serious conditions affecting women around the world. Breast cancer is the second most prevalent form of cancer found in women behind skin cancer and roughly one out of every eight American women born today will develop breast cancer at some point in their lives. Because of this, getting tested regularly is incredibly important, which is why October was designated as National Breast Cancer Awareness Month. National Breast Cancer Awareness Month was established as a way to spread awareness of breast cancer and to encourage women to get a mammogram, which is a screening test that can identify breast cancer. By identifying signs of breast cancer during the earlier stages of development, there is a much better chance of treating it. So far, around 231,840 new cases of invasive breast cancer have been reported in 2015. Around 60,290 non-invasive cases have been reported as well. An estimated 40,290 women are expected to die in 2015 due to breast cancer. 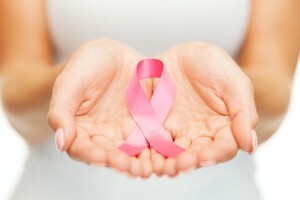 However, the death rate caused by breast cancer has been dropping steadily since 1989. This is due in part to efforts to spread awareness about breast cancer and to encourage women to get tested early. Earlier detection allows for more effective treatment. Because one of the risk factors of breast cancer is aging, women between the ages of 40 and 49 should speak with their doctors about when they should get a mammogram. Women between the ages of 50 and 74 should begin getting mammograms every two years. Women that have had a first-degree relative, such as a sister or mother, diagnosed with breast cancer are twice as at risk to develop breast cancer. In fact, less than 15 percent of women who have breast cancer have had a family member who was diagnosed with breast cancer. Because it is National Breast Cancer Awareness Month, we encourage all women to speak with their doctors about receiving a mammogram and we encourage everyone to speak with the women in their families about breast cancer. For more information, contact us at The Benefits Store today. The Cadillac Tax is a 40 percent tax that won’t be tax deductible and that will be levied on employer-sponsored health coverage that offers high-cost benefits. 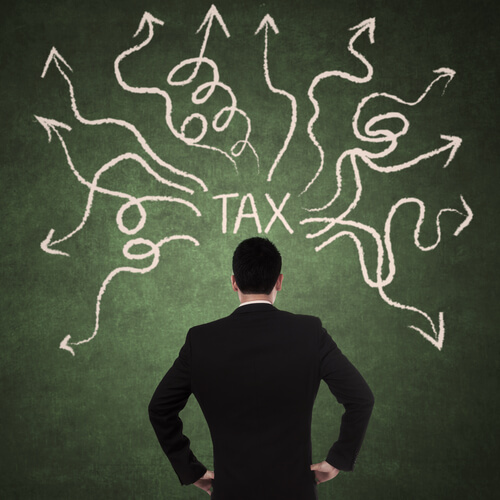 The annual tax is scheduled to take effect in 2018 – although it’s not without opposition. What is the purpose of the Cadillac Tax? The Cadillac Tax has been put into place as a way to reduce the tax preferred treatment of employers that provide health care as well as to reduce any excess health care spending by both employees and employers. Additionally, the Cadillac Tax will assist with financing health care coverage expansion under the PPACA (the Patient Protection and Affordable Care Act). The tax will be 40 percent of the health coverage cost that exceeds the threshold amounts that were predetermined—$27,500 for family coverage and $10,200 for individual coverage. However, these thresholds will be updated by 2018 to reflect inflation. This will include the contributions made by both the employer and their employees. What is the potential impact of the Cadillac Tax? 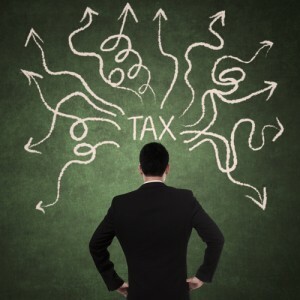 The 40 percent tax is not something employers are going to want to pay, which is why many employers are already beginning to review and trim down their health plans in order to help minimize the impact of the Cadillac Tax. Employers with generous health plans that include flexible spending accounts will be heavily affected by the Cadillac Tax. Flexible spending accounts are popular with employees since they let them put aside tax-free money for medical expenses. The tax threshold doesn’t just take into account the premiums, but will also factor in other benefits offered to employees by their employers, such as any money that’s put into their flexible spending accounts. What does this mean? Many employers are likely to begin limiting how much their employees can add to their FSA accounts—or they may simply stop offering them altogether. In addition to trimming down their health plans, this could lead to lower quality health plan options for employees. For more information about the upcoming Cadillac Tax, contact us at the Benefits Store today. There are always new credit card scams being perpetrated, which means that you can never be too careful with how you use your credit cards. The last thing you want is to have your credit card information stolen, after all. 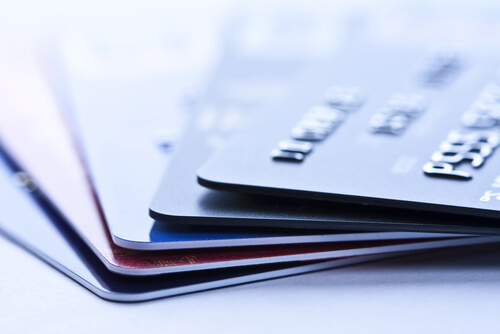 Unfortunately, a new credit card scam is making the rounds, so be wary. What will happen is that you’ll receive a phone call from someone claiming to work for the fraud-prevention department of your credit card issuer. As “proof” that they are from your credit card company, they will read the number of your account to you. Remember, they have your credit card information and not your actual credit card—you are probably still in possession of it. They will then ask you about a recent purchase and whether or not you made it. They will identify this purchase as a “suspicious transaction.” When you tell them that you did not make the purchase, they will recommend that you get a new account number—and that you won’t have to worry about the fraudulent charges since they will be removed. The catch is, you’ll have to provide them with that three-digit or four-digit code on the back of your card to prove to them that it is still in your possession. So how do you know if you’re speaking to a legitimate representative of your credit issuer? Ask for their name and employee ID. Then hang up and call the 800-number listed on the back of your card. Ask to speak to the fraud-prevention department and provide the information you have. They will be able to verify whether or not it was a scam. Always be careful when giving out credit card information. Contact us at the Benefits Store today for advice concerning protecting your information with IDShield today.